The Rev. 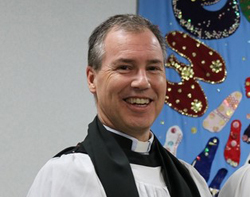 Jeremy Mould, curate of Belvoir Parish, Belfast, in the Diocese of Down and Dromore, has been appointed as Incumbent of the United Parish of Templepatrick and Donegore. The service of institution will take place at 8:00pm on 30th May in St Patrick’s Parish Church, Templepatrick.